Folk specialises in practical clothing with an emphasis on quality and off-beat details. 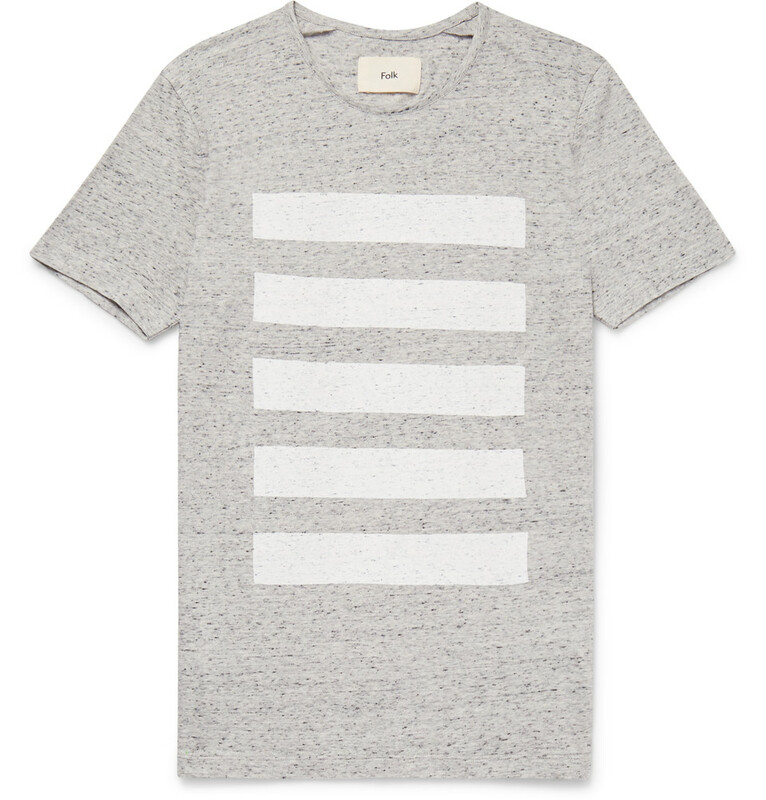 This tonal-grey T-shirt is striped across the front giving a contemporary, graphic appeal and flecked with black threads for textural contrast. This comfortable design is cut from soft mélange cotton-jersey that will season well with age. Layer it over long-sleeved tops or under hoodies and leather jackets.